Blinds.com customer Ron recently moved into this gorgeous house on Lake Ontario and was kind enough to share a photo of his purchase with us. 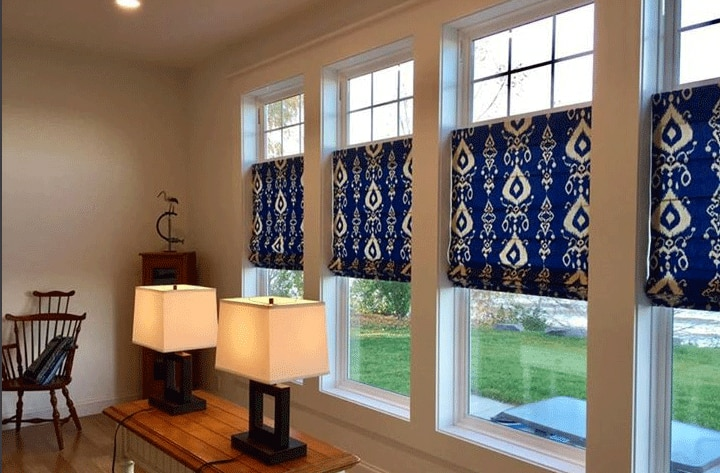 Ron was looking for a little privacy and a lot of style without sacrificing his beautiful view so he took advantage of our Free Samples and decided on Blinds.com Premium Roman Shades in the color Medan Banda Sea. As you can see, the background is predominantly blue with a gorgeous detailed pattern throughout. Whether the shades are up or down, they provide an instant pop of color to this sunny room. Shop our assortment of Roman Shades and find the right style for your window! If you would like your window project featured on our blog, be sure to share your photos with #Blindsdotcomlove on social media or post a review directly on our website.